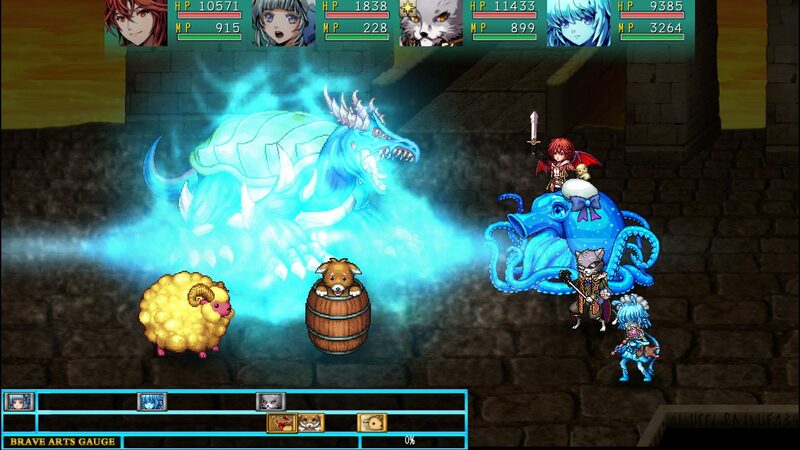 If you play a lot of role-playing games on your mobile device, you’re probably familiar with KEMCO. 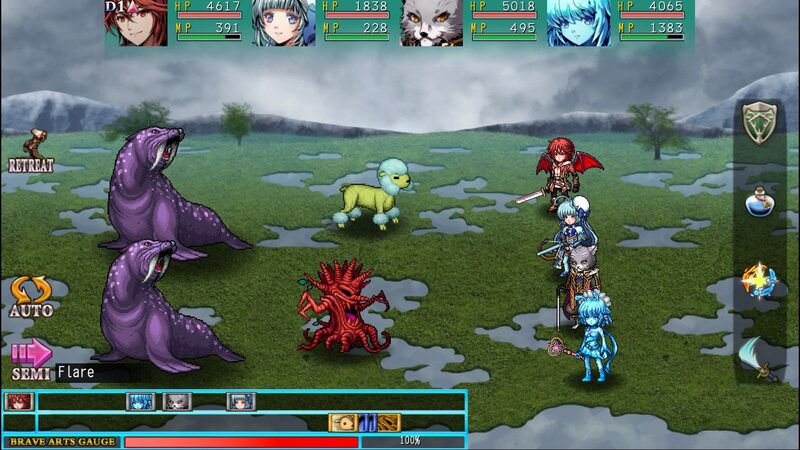 The publisher is known for various RPG Maker-like games for iOS and Android devices, and even a few consoles releases. 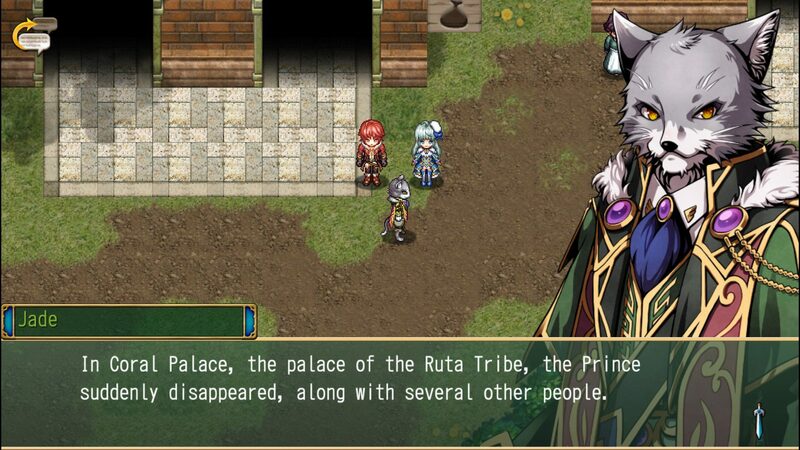 Usually I have reservations for mobile RPGs, especially ones that look like they were made by RPG Maker, as they tend to have low-quality graphics, reused sprites and animation, and an overall bland story. However, KEMCO surprised me with its recent port of Antiquia Lost for the PS4 and PS Vita. From looking at previews and image stills, I was predicting that the game would be very mundane. (I mean, it is a port of a mobile game.) However, after playing it, I saw how deep it gets past the surface. Let’s start with the story. In Antiquia Lost, the world of Edelstein is inhabited by three major races: the human-like Fai, the gel-like Ruta, and the feline-like Eeth. We follow the story of Bine, a Fai who crosses path with Lunaria, a mixed-race Fai and Ruta who also happens to be linked to royalty. Being royalty isn’t so great in Edelstein at the moment, however, since many royal figures are going missing. When Lunaria asks Bine to accompany her to the capital, they both embark on an adventure to uncover the mystery of the world. Along the way, Bine and Lunaria will be accompanied by the Eeth, Jade, and the Ruta, Safira. One of the gameplay elements in Antiquia Lost is that the races have each of their own unique attributes. While the Fai is more balanced of the three, the Eeth are physical powerhouses and the Ruta is unaffected by physical attacks but are vulnerable to magic. Also, if you haven’t noticed yet, the races are aligned with the three main elements in the game: Fai with fire, Eeth with earth, and Ruta with water. The alignments allow those races to gain magic of their respective elements. If you are wondering how Lunaria’s affected with these attributes by being a half breed, then you’ve asked the right question. Firstly, she acquires magic from all elements with earth magic being the slowest of the three (since she technically does not have Eeth blood). Secondly, she doesn’t level up like the rest of the team or like your traditional RPGs with experience points. Rather, she gains boosts on her statistics when she eats gems. The gems, by the way, are accessories that the characters would put on to gain temporary boosts. For those who are thinking on spending their hard-earned money on accessories to level her up, there’s actually a silver lining; every time you win a battle, there’s a chance for Lunaria to find a gem to automatically eat. Overall though, even if you don’t feed Lunaria a single gem, she averages out with the same stats as your leveled-up team. If you do decide to feed her plenty of gems regularly, that’s when she can be overpowered. Overpowering the rest of your team isn’t a big feat either. Since Antiquia Lost is a port of a mobile game, then you know there are these things called in-app purchases. 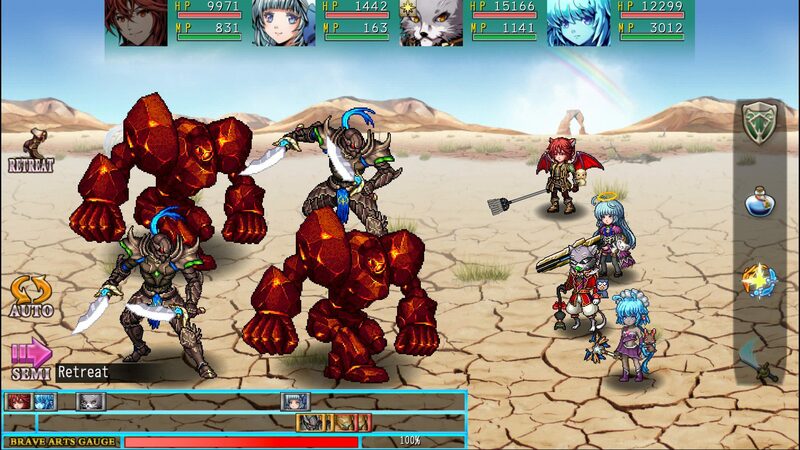 However, KEMCO circumvents these (since you are paying way more for this version of the game than the mobile one) by giving you the premium currencies – Pandora tickets and diamonds – after completing a set amount of battles. If you grind a lot, you’re bound to get plenty of these items. Pandora tickets are used for a chance to gain enhanced weapons. Diamonds, on the other hand, can be used for more than just chances on enhanced weapons; you can purchase accessories that gives you experience and gold multipliers as well as permanent stat boosters. In fact, after a couple of hours grinding away and purchasing the multiplier items, I was rocking an overpowered team that was dispatching enemies left and right on highest difficulty level (i.e., Hell). Even bosses were so easy to defeat. The other gameplay aspect of Antiquia Lost that is pretty cool is the skill-leveling system. While it’s not innovative, skills do gain experience after using it and after gaining enough, they level up. Leveled-up skills do more damage and cost less magic points to use. The system creates that dynamic that even though the most powerful skills won’t be available until later in the game, the skills you get earlier on can be as powerful as those latent ones if used very often. It also lets you be more comfortable in using the same skills that may be your favorite or aligns with your strategy. I for one like Lunaria’s health-draining skill as well as Safira’s magic-absorption skill, since it allows me to not rely on recovery items at all. One of the aspects of Antiquia Lost I was disappointed on is how it does not have a cloud-save feature. It is a cross-buy, however, so you will get the PS4 and Vita versions for one price. The only thing is, if you play it on one system, you might as well finish it on the same one. Personally, I’d lean more on playing this for the Vita, since there’s really no difference in the two versions. Besides, let me remind you again that this is a port of a mobile game, and this is one of those RPGs that is perfect for playing on-the-go. This review is based on a retail copy of the game provided by the publisher. Albert is a trophy hunter with a ravenous appetite for role-playing games with breathtaking storylines. He also has a penchant for adventure games with innovative mechanics.